On Thursday I was climbing up a ladder in an old Brownstone to access to roof area (hey, I’m an appraiser too) when my iPhone blew up. 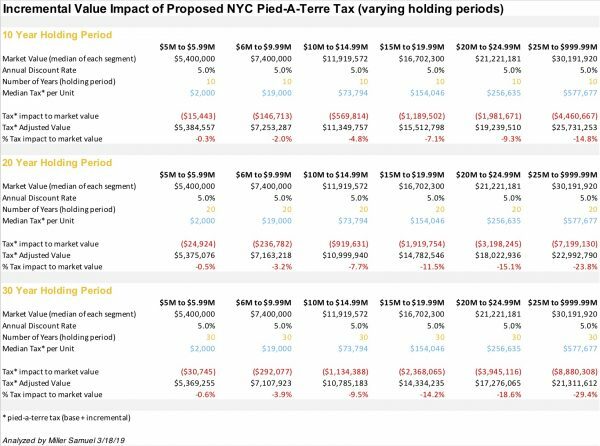 I got about 20 press calls in the subsequent two hours concerning the impact to the LIC and NYC residential market (see “Amazon HQ2” links at the bottom of these Housing Notes. As always, I had a wonderful conversion with Vonnie Quinn, anchor of Bloomberg TV’s Markets today. 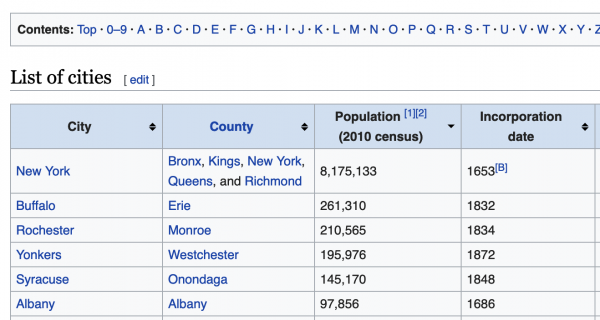 It was a long interview where we discussed national and NYC metric trends. The following portion covered the Amazon HQ2 story in Long Island City, NY. 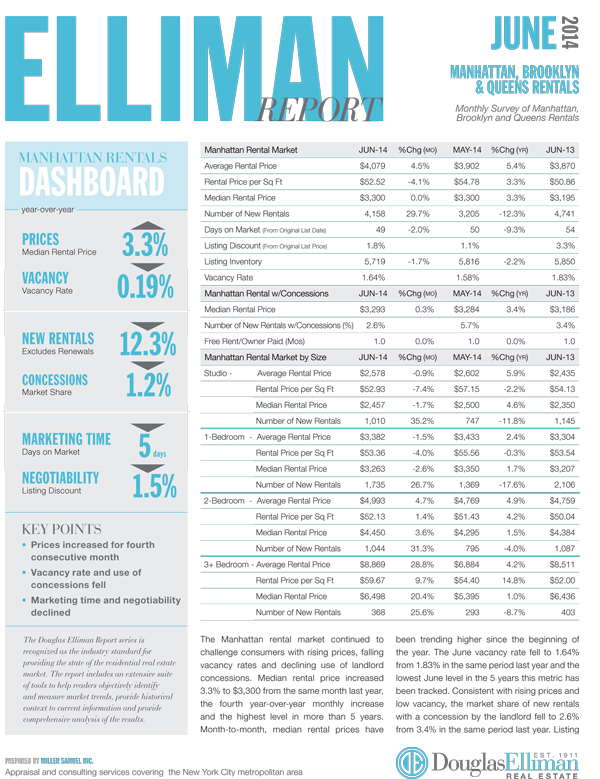 Douglas Elliman published our research today covering Queens sales, Brooklyn sales Westchester/Putnam sales as well as the rental market for Manhattan Brooklyn & Queens. 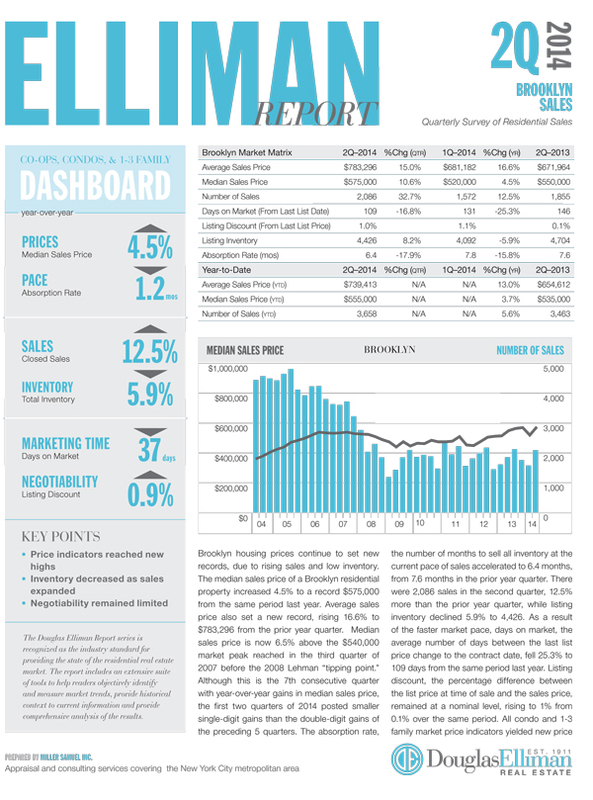 You can download the reports and more at Douglas Elliman’s market report page. 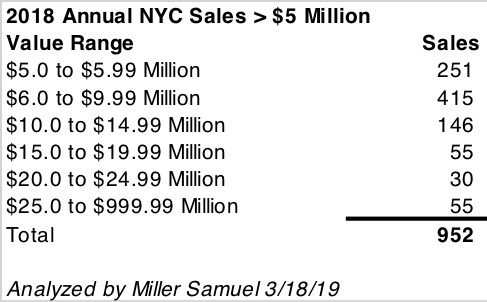 Like last week’s Manhattan report, there were lots of records set and it wasn’t simply the influence of high end sales – prices were up across the board in most markets. Incidentally, the Bloomberg News article that covered record Queens condo sales was the second most emailed story world-wide. It stoked more interest than the finance crisis in Greece and the recent Chinese stock market gyrations. Apparently only “investors with satellites” was a more popular read. Idea (?) for next quarter: Talk about drones and investors in the Queens housing market. 1. 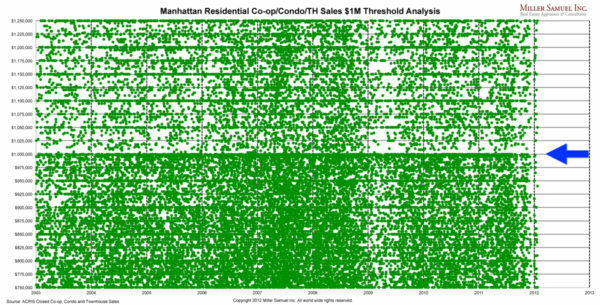 The average sales price for NYC residential real estate (co-ops, condos and 1-3 family sales) reached a record $975,441 (pink line). 2. 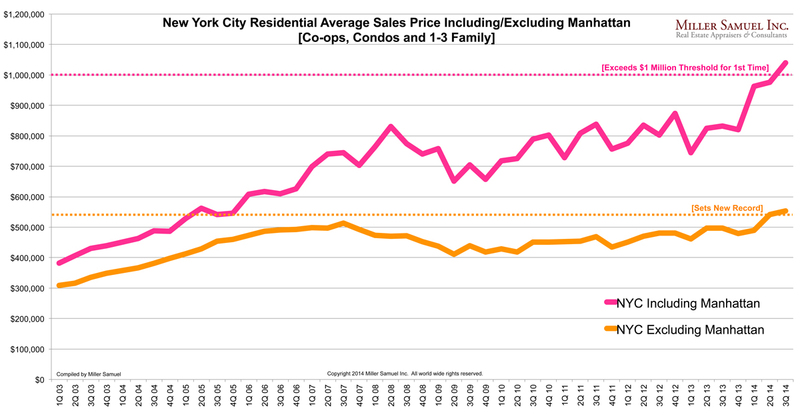 The average sales price for NYC residential real estate excluding Manhattan reached a record $542,216 (orange line). 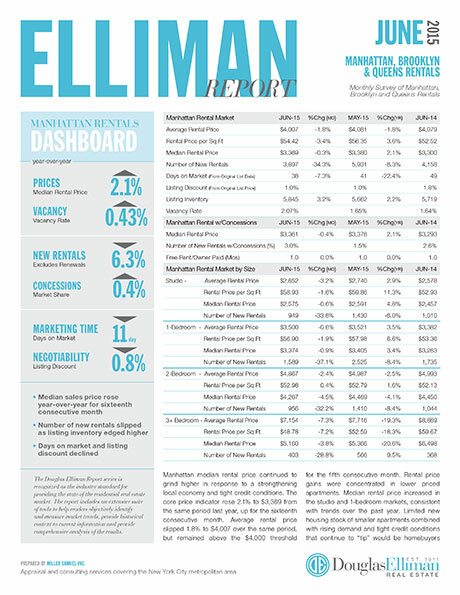 We’ve expanded the Elliman rental report to include Queens this month and added additional metrics for Manhattan and Brooklyn. – Prices increased for 4th consecutive month after year end lull. 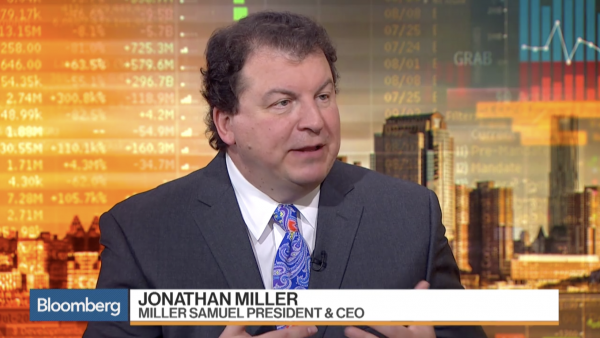 – Median rent is at highest point in more than 5 years. 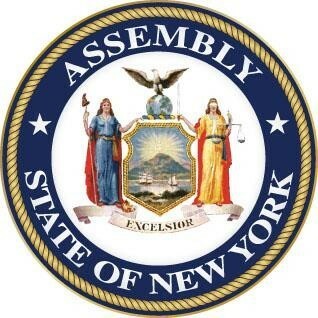 – The vacancy rate was lowest June in 5 years. – Use of concessions continued to fall, now at nominal levels. – Marketing times and negotiability continued to fall. – Luxury market outperformed the overall market. 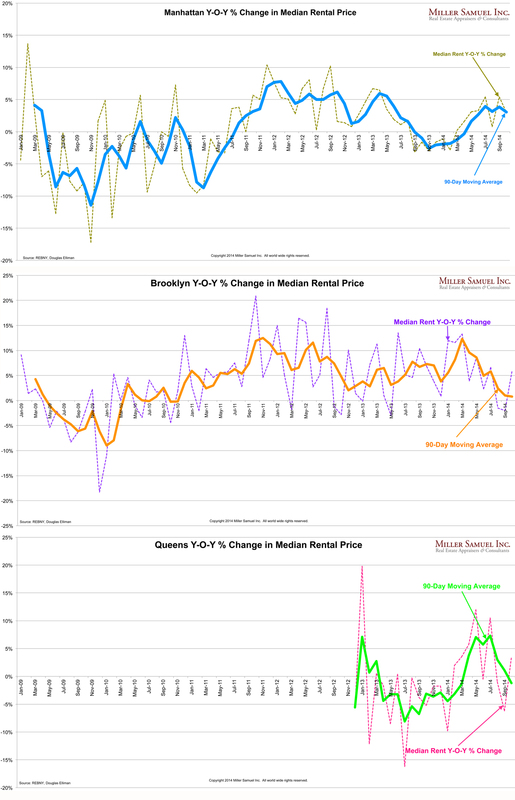 – Median rental price up year over year for 13 consecutive months. – Rents hovering near record highs but have remained stable since beginning of year. – New rentals surged indicating resistance to price increases at time of renewal. 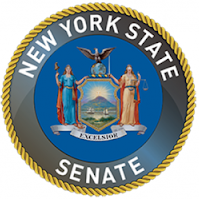 – Nominal use of concessions by landlords. 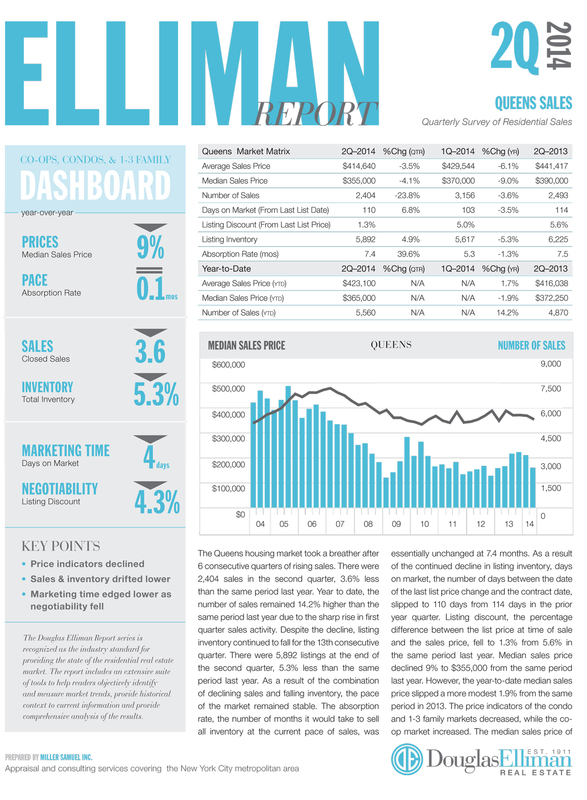 – Overall market outperformed luxury market, price growth stronger in smaller units. 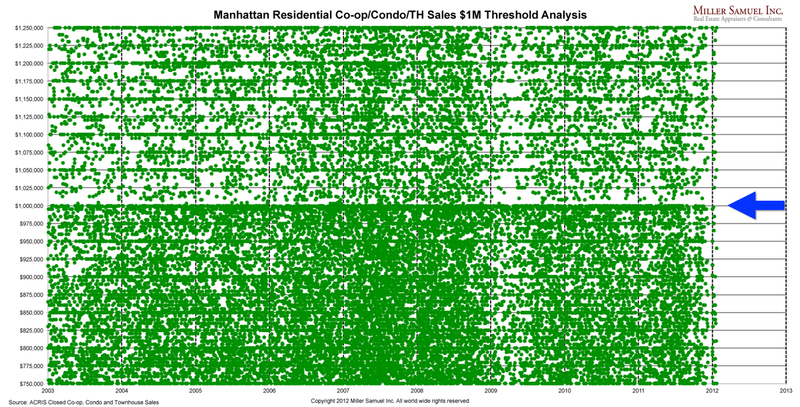 – Manhattan-Brooklyn rental price gap remained at $500, more than the $210 record low in February but less than half of 2008 level. 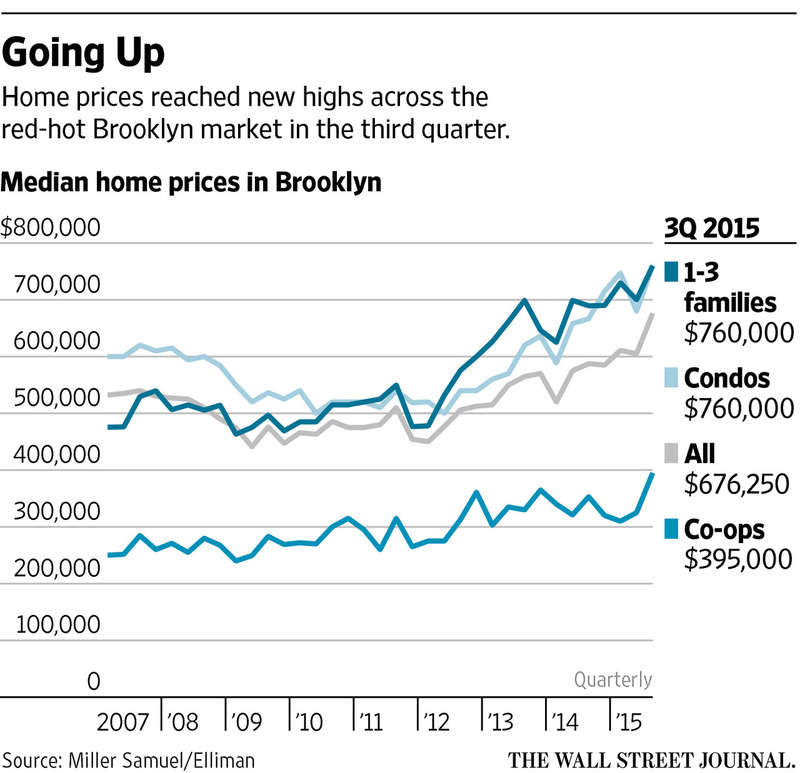 – Median rental price year-over-year slipped after 4 consecutive monthly increases. 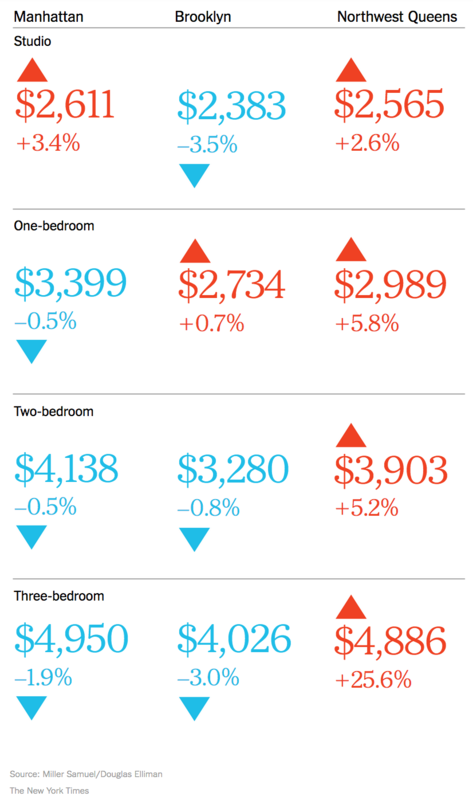 – Shift in mix to smaller units (60.2% share of 1-bedrooms) pulling down overall prices. – Nearly half of the rental stock is located in new development buildings. – Marketing time slipped as listing discount remained nominal. 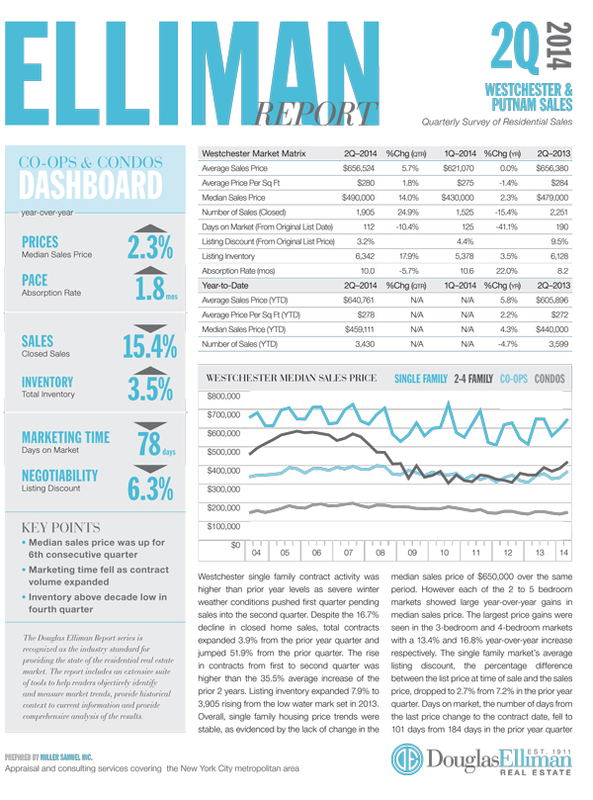 Then you may have missed last week’s market report releases for Brooklyn, Queens and Westchester/Putnam Reports. 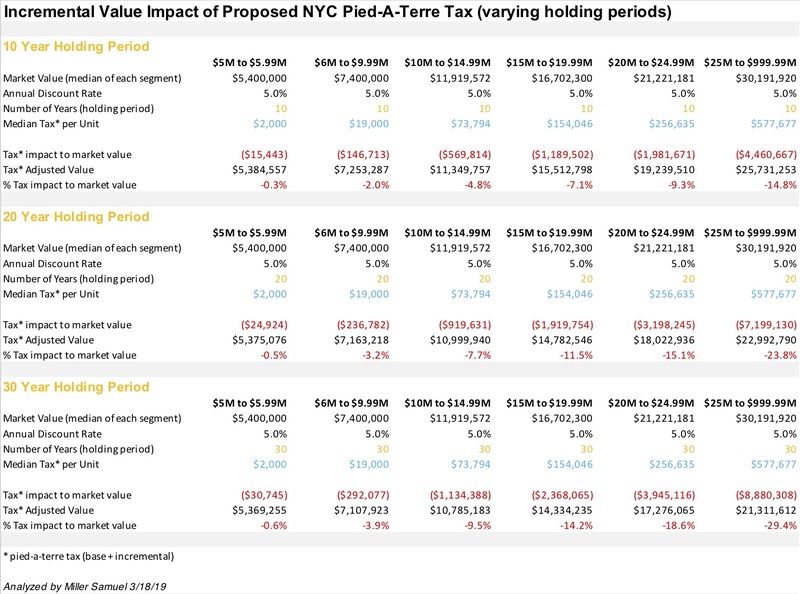 These are part of the report series I’ve been writing for Douglas Elliman since 1994 (20 years!). The reports have a new look – hope you like them. Click on graphics to open them.